For years it seemed the only way many North Americans ate pumpkin was in pumpkin pie. Now pumpkin recipes abound, both sweet and savory. When you’d like to stay on the sweet side and save a little money, rather than picking up jars of rather generic Pumpkin Pie Spice for your Pumpkin Pies, Pumpkin Lattes, Mousse, Flans or other concoctions, try one of the custom blends, below. Let me just put a plug in here for my Pumpkin Spiced Lattes! I often multiply out recipes like this and store in an airtight jar, and I’ve given measurements for one pie and for four. I almost always make two pies at a time, so I have enough for two more later. This works well for me: two for Thanksgiving and two for Christmas. An easy way to multiply your own spice blends is to make three times the amount – just use tablespoons instead of teaspoons and eyeball the half, quarter, and eighth measurements. Note: these measurements all assume you’re using store bought spices, not grinding or pulverizing your own. This is particularly important with nutmeg, a spice that will completely overwhelm the flavors if you substitute a freshly grated nutmeg for a commercial variety of ground nutmeg. The ginger in this blend is a little more forward than many other Pumpkin Pie Spices, while cinnamon takes second chair. The final result is a pumpkin pie that’s still very familiar but has a subtle flavor that not only lets the pumpkin flavor shine through but will make those eating take a little notice. A bit more highly spiced than Libby’s this one has more cinnamon and the addition of nutmeg. 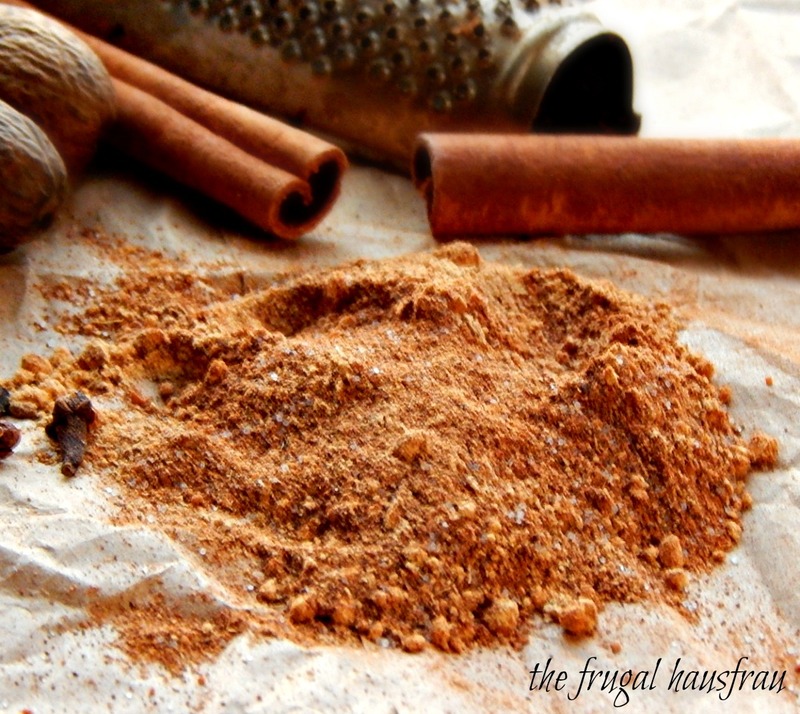 This is the Classic Pumpkin Pie Spice…no I didn’t really grind the spices. For decorative purposes only! Multiplied by 4, use 3 1/4 teaspoons per pie. This is the absolute classic Pumpkin Pie Spice, familiar to anyone who’s ever picked up a can of Libby’s for Thanksgiving since the 1950’s. Multiplied by 4, use 2 1/4 teaspoons per pie. This entry was posted in Click here for Fabulous Food Posts and tagged Pumpkin, Pumpkin Pie, Spice & Herb Blends. Bookmark the permalink. Thanks! It’s so nice to have home-made options for the Coffee Shop Lattes they sell around here! I second you Frugal… are you on pintrest? So that I can pin this up? Just be careful with the nutmeg! It’s amazing isn’t how powerful spices are when they are freshly ground! Fall is a great time to buy spices because so many baking goods are on sale around Thanksgiving. I love autumn spices. 😊. And I enjoy a good pumpkin pie! The ground spices in the topmost picture make me wish that I liked pumpkin more than I do. I’m not a fan of pumpkin pie but I DO make a pumpkin cheesecake that almost makes me forget that I don’t care for the orange gourd. I have a very hard time wrapping my mind around savory pumpkin dishes because to me, it’s all about the spices. I make a pumpkin pie that’s not all wet and slimy – which is what most people seem to object to about it. Of course, it’s really just a custard, and sometimes people just don’t like any custard! I think I’ll post it this year. I get very excited when Thanksgiving is coming I love making pumpkin pie. I also really love your latte recipe.